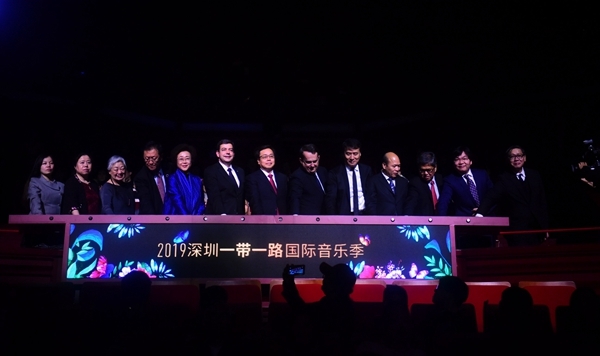 2019 Shenzhen Belt and Road International Music Festival hosted by Shenzhen Municipal People’s Government and Chinese Musicians’ Association was opened on 24 March 2019. Mr. Ye Xiaogang, Vice Chairman of China Federation of Literary and Art Circles and Chairman of Chinese Musicians’ Association, Mr. Long Jiayou, Member of the Party Leadership Group of the Guangdong Provincial Department of Culture and Tourism, Mr. Li Xiaogan, Member of the Standing Committee and Director of Publicity Department of the CPC Shenzhen Municipal Committee, Ms. Wu Yihuan, Vice Mayor of Shenzhen Municipal People’s Government, Ms. He Jiakun, Executive Director of Hong Kong Arts Festival, Mr. Chen Jichun, Vice President of Cultural Affairs Bureau of the Macao Special Administrative Region Government, Consuls General and representatives of Poland, Brazil, Indonesia, Mexico and Qatar Consulates General in Guangzhou attended the opening ceremony and related activities. Ms. Wang Hongliu, Director of General Affairs and Coordination Division of ACC was invited to attend the event, where she had extensive exchanges with the guests and joined the opening of the music festival. Ms. Wu Yihuan, Vice Mayor of Shenzhen Municipal People’s Government delivered remarks at the welcome dinner. 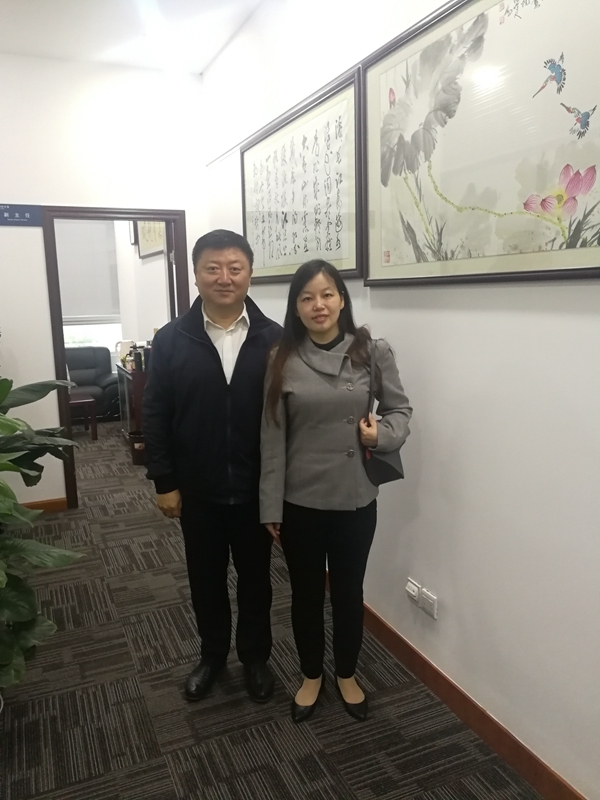 She said that Shenzhen Belt and Road International Music Festival has been held successfully twice since 2017. 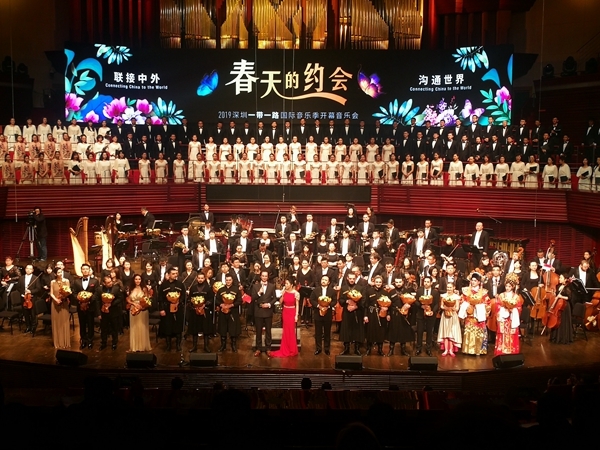 It aims to showcase the exchanges and cooperation between countries along the Belt and Road and the rest of the world on music. 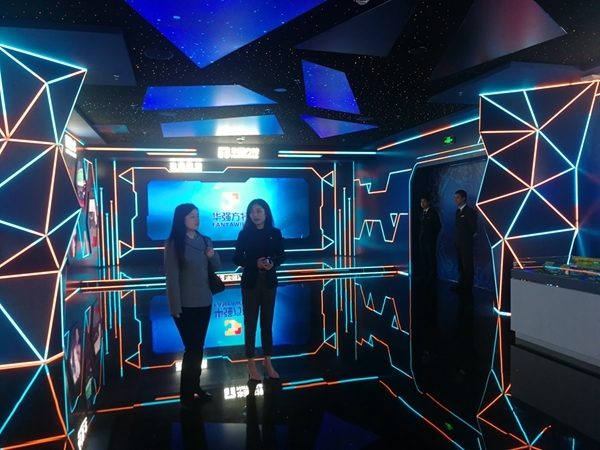 The music festival has become the most well-known and top level cultural event in Shenzhen, and also an innovative attempt to implement the Belt and Road Initiative (BRI) in the field of culture and art. 2019 Shenzhen Belt and Road International Music Festival runs from 24th March to 14th April 2019. A total of 809 artists from 41 countries and regions participate in the festival. They will present 23 performances and attend 7 extension activities. Surya Gamelan Orchestra from Indonesia and Suc Song Moi Bamboo Ensemble from Viet Nam are invited to perform during the music festival. During her stay in Shenzhen, Director Wang Hongliu met with Mr. Jiang Likun, Executive Deputy Director General of Office of the Leading Group of the CPC Shenzhen Municipal Committee for Promoting the Development of the Guangdong-Hong Kong-Macao Greater Bay Area, and exchanged views on implementing the BRI and the Development Plan for Guangdong-Hong Kong-Macao Greater Bay Area, enhancing ASEAN-China exchanges and cooperation and other matters of common interest. Director Wang and her delegation also visited the Fantawild Holdings Inc. in Shenzhen.